This question comes from a recent Fire Captain interview and addresses discipline. Discipline is a very common question in fire officer interviews. This question and over 80 more are covered in detail in our Fire Officer Interview Ebook. What is the role of a Captain in disciplinary actions within out department? Key talking points: In order to answer this question you need to know your department’s policy on discipline and progressive discipline. Different levels of discipline are applied by different individuals. It is important to stress that a Captain can still be active and supportive in the process even if the level of discipline has exceeded his authority. Example Answer: A Captain is a vital part of the disciplinary process within our department. There are many issues that can be addressed by a company officer before they reach a higher level. This is desirable because the ultimate goal of discipline is to correct an undesirable behavior. This begins with counseling done by the station Captain. If counseling does not correct the problem, then we move to the next step in the progressive discipline process, which is a written warning. This document is drafted by the Captain and then signed by the subordinate and the Battalion Chief. The next step in the process is leave without pay or demotion. These are both authorized by the Deputy Chief or the Fire Chief. While a Captain can not apply these levels of discipline, he can provide support to the upper command staff. The final step in the process is termination. This step is authorized by the Fire Chief. A Captain’s role in the entire process is very important. The goal is to stop problems before they happen by establishing clear expectations and maintaining a well organized and disciplined team. When problems do occur, a Captain must be proactive in attempting to correct the undesired behavior. This is an excellent question and a great response. This question and over 80 other Fire Captain interviews are covered in our Fire Officer Interview book below. This is a valuable fire captain interview question and answer that was asked to one of our customers in his interview. A question on counseling, crew performance, or progressive discipline is very common in fire officer interviews. As a Captain, how will you handle a counseling session with a subordinate? Key Points: Remember that a counseling session has two purposes. The main goal is to correct the behavior or improve performance. However it is also the beginning of the progressive discipline process. Be clear and firm. A counseling session is the first step of the progressive discipline program for our department. It is intended to correct the undesirable behavior at the lowest level possible. As a new Captain I will conduct counseling sessions in a straightforward manner. I will begin by explaining to my crew-member why we are sitting down and exactly what a counseling session is. I will explain that his actions are unacceptable and do not meet the department standard. I will provide him with specific information on how to correct the behavior or what actions he needs to take in order to meet the department standard. Depending on the behavior, this could be as simple as telling him to complete his paperwork correctly, or for more complex problems it may involve a performance improvement plan that involves multiple training sessions. I will also explain the repercussions if the undesired behavior is not corrected, which would be moving onto the next levels of the progressive discipline program. These would include written warnings, written reprimands, time off without pay, and even termination. Overall I want this meeting to be positive and use it as a motivational tool to correct the behavior. This is a great question that is very common in fire officer interviews. This answer and many others are included in our Fire Officer Interview ebook which you can download below. We have added several new Fire Officer interview questions and answers to our Fire Officer ebook. Below is the question, key talking points, and sample answer. You can purchase our book here or by clicking below. We also offer free lifetime support that helps you customize answers for your department and assists you answering other questions that you may have. What is our department’s SOP on rapid intervention teams? Key Points: This is one example of an SOP question that you may be asked. Know your SOPs well and be able to recite them. You may want to expand on the duties of a RIT at a fire versus other types of incidents. Example Answer: Our departments SOP on rapid intervention teams states that a RIT team will be established on any working structure fire or any other incident that poses a hazard to firefighters. It will be established as soon as possible and will consist of at least four firefighters in full PPE. The goal is to have at minimum 2 in 2 out, however more serious incidents will require additional RIT members. The RIT team is extremely important for the safety of our firefighters at both fires and other dangerous incidents. We utilize RIT teams on every call where our members are in a hazardous atmosphere such as fires, haz-mat incidents, and technical rescue calls. The RIT is allowed to do small tasks but must be ready to deploy immediately when a call is made. They must be familiar with all of the standard RIT tools and equipment including extrication equipment. They are allowed to assist throwing ladders as secondary egress and they are allowed to conduct a 360 and remove bars from windows. We have added several new Fire Captain interview questions and answers to our Fire Officer Interview book. They are great quality questions used in recent interviews. Below is just one of the questions we added. You can purchase our Fire Officer Interview book by clicking below. As a new Captain, how do you plan to train your new crew? Example answer: As a new Captain training will be a top priority and will begin on my first day. The fire service has evolved and now places more demands on firefighter than ever before. We must constantly train and constantly improve to be able to meet these demands. First I will immediately get feedback from my crew regarding their strengths and weaknesses. I will continually evaluate their knowledge skills and abilities. My goals will be to capitalize on their strengths and shore up their weaknesses. My first priority is to be sure they are trained to be “mission ready”. I will also focus on professional development, working to train and mentor upcoming officers. I will schedule company training every day and allow my crew to choose topics they would like to instruct and teach. Happy Thanksgiving and Merry Christmas in advance! My Fire Job has had a great year and we are happy to announce our year end holiday sale. The prices on all three of our books have been reduced through December 31st. We have added numerous questions to each of our books and updated each of them to be more streamlined and easier to study. We also turned our unofficial lifetime support into an official announcement, so you will have our help through the entire process. Overall 2016 has been a great year and we have helped many candidates get hired and promoted. Our most popular book, The Fire Officer Interview, is on sale for 50% off. Normally $99, now less than $50. You can learn more about the book here, but in a nutshell nearly every customer who purchases this book tells us that it contained nearly every single question they were asked in their interview. There isn’t a better way to prepare for a Fire Officer Interview. We are happy to announce that we have updated two of our books. The Fire Officer Interview has been updated with new interview questions that are really challenging. They came from fire captain and fire lieutenant interviews. 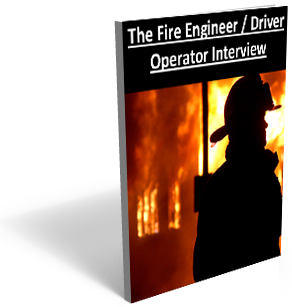 We also updated our Fire Engineer / Driver Operator Interview book with new interview questions. These books contain the most commonly asked interview questions in promotional interviews. If you are looking for fire captain interview questions and answers or fire engineer questions and answers this is the best resource available. Our books receive rave reviews and our customers typically report that 90% of their interview questions are covered in our book. It really is like having the interview questions in advance! The Fire Captain interview is a very challenging event. Many times candidates are knowledgeable and capable, but fail to verbalize and convey their ideas to the promotional interview panel. Here at My Fire Job we collect Fire Captain Interview questions and develop answers to help candidates prepare in the best possible way for their Fire Captain interview. We have added brand new Fire Captain Interview questions on discipline, leadership, and training to our Fire Officer book. Below are some of the new questions and sample answers. Describe how our department handles discipline and your role as a Captain. Discipline is designed to correct behavior and not be punitive. Our department follows a progressive discipline process that progresses from coaching, counseling, verbal reprimands, written reprimands, time off without pay, and ultimately termination. We always want to use the lowest effective level to correct behavior. The level must also be appropriate with the undesirable behavior. As a Captain my job is to administer discipline and work towards performance improvement. Per our SOGs Captains can administer every level of discipline up to giving a person time off. That step must be done by a Deputy Chief or the Fire Chief. My role is to document the entire process and provide support to my superiors as the progressive discipline process reaches those levels. We have to remember that our ultimate goal is not to punish, but to correct behavior and strive for the end result of a high performing employee. Describe leadership and how you plan to lead as a Captain. Leadership is a hard topic to describe because it can mean different things to different people. I would define leadership as the ability to accomplish goals through others. It is about motivating and moving employee and an organization toward a common goal. I have worked hard and am already a leader within our department. I have led by example every day of my career in my interaction with coworkers and the public. I have developed our physical fitness program and motivated many of my coworkers to workout and improve their health. As a Captain I will continue to be a leader and I will have a greater opportunity to mold and shape our department. I will continue to lead by example and make decisions that are sound, ethical and effective. What do you feel is a weak point in your training and the training of our department. How do you plan on correcting that? These are a few of the questions from fire captain interviews that we have added to our Fire Officer Interview Ebook. 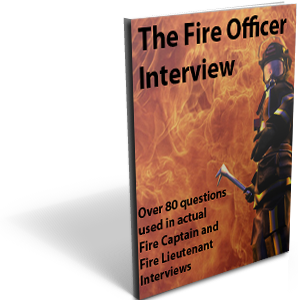 It includes over 80 interview questions used in real fire captain and fire lieutenant interviews along with key talking points and sample answers. It is the best way to prepare for the Fire Captain interview. Our book is now on sale for a limited time at half price !! One of the most commonly asked questions in Fire Captain and Fire Lieutenant interviews is about leadership. Fire Officer candidates must be prepared to discuss leadership topics and how their leadership will affect the department. Below is a challenging question asked in a recent fire officer interview. How do you personally define leadership and how do you plan on leading as a new fire lieutenant? Leadership can mean different things to different people. I define it as motivating people and inspiring them to follow you and work toward the overall goals of the department. I also believe leadership can occur at all levels of the department. Even a newly hired firefighter should lead by example and motivate his peers. I have tried to be a leader since the day I was hired. As a new lieutenant I will continue to be a leader. I have always lead by example by spearheading our fitness initiatives and several other programs including our confined space training and peer counseling training. I have always tried to lead by example and motivate those around me to succeed. I am confident I have the skills to continue to motivate any crew I am placed with to provide excellent customer service and perform at a high level. This question and many more like it are in our Fire Officer Ebook. 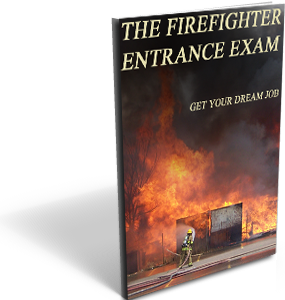 It contains over 80 of the most common interview questions for Fire Captain and Fire Lieutenant interviews. It is like having the questions in advance. Plus it comes with free lifetime support. Available for instant download. Below is a fire lieutenant interview question and answer sent to us by Brian from Florida. As a newly promoted fire lieutenant, how will you handle the first meeting with your crew? What topics will you cover? Key talking points: The first meeting a company officer has with his crew is called an expectations interview. The company officer should cover things such as daily station duties, training expectations, roles on both nonemergency and emergency calls, and interaction with the public. The expectations should be clear. The company officer should also explain what will happen if these expectations are not met. As a new Fire Lieutenant my first task will be to have an expectations meeting with my crew immediately. This meeting is vital because it sets the tone for how I intend to run my station. It also outlines what I expect from my crew in all areas of operations. Some of the key topics I will address are station duties and activities, training expectations, roles on the emergency scene, and roles in non-emergency activities. One of the topics I will emphasize is the importance of excellent customer service. This is something I place a great deal of importance on and I expect my crew to be the best in terms of customer service. I will also explain how I will handle coaching, counseling, and progressive discipline if my expectations are not met.